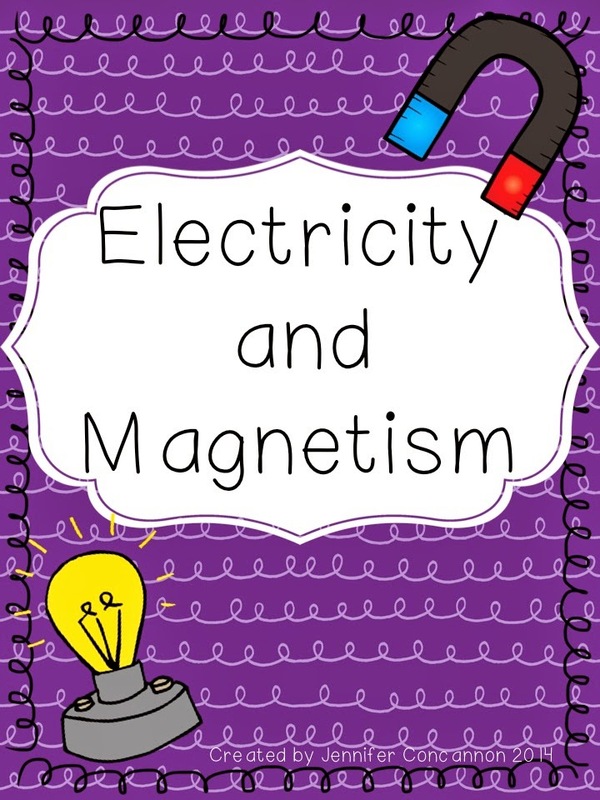 We have been studying electricity and magnetism in science. I love studying this because there are a lot of activities for the students to do. I am sharing these fun lab stations that we worked on yesterday. 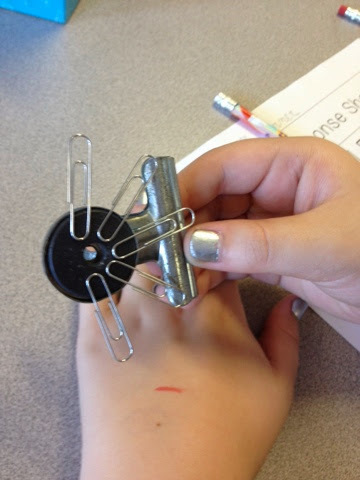 I absolutely love when I hear the students getting into the activities and coming up with their own mini experiments. There were 5 lab stations for each group of students to go to. They had to record their data on their lab sheets. 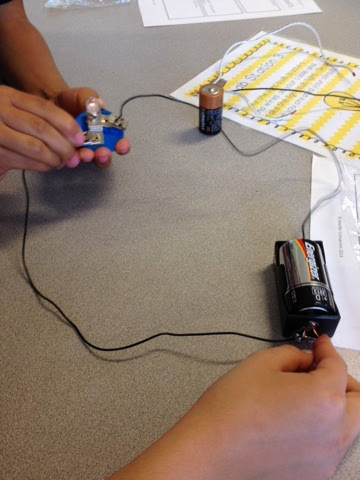 The absolute student favorite was making circuits. 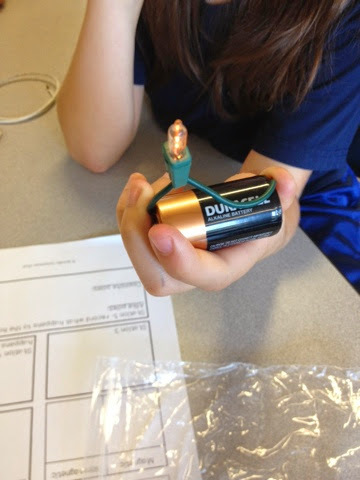 They had many materials at their disposal to get the lightbulb to light. 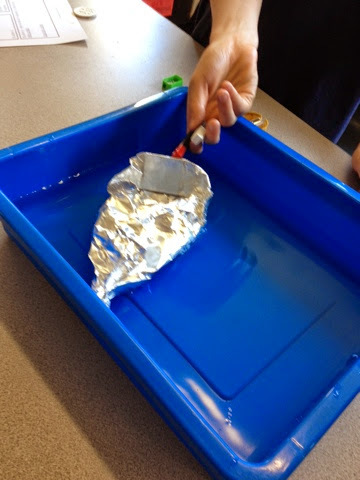 This station the students had to get the boat across the water using magnets. The boat was supposed to be cork, but you have to work with what you've got right? 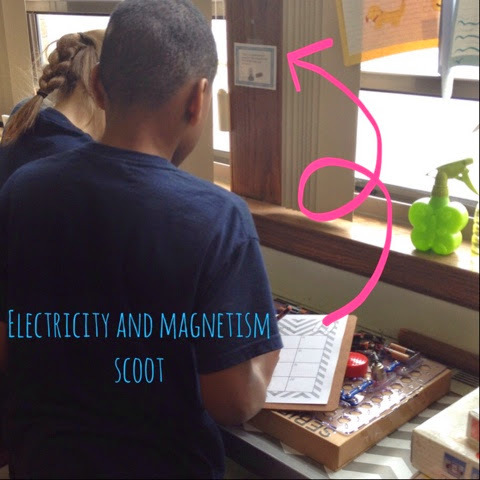 Next, they sorted out materials into magnetic and nonmagnetic categories. They had a great time trying out some additional materials as well. 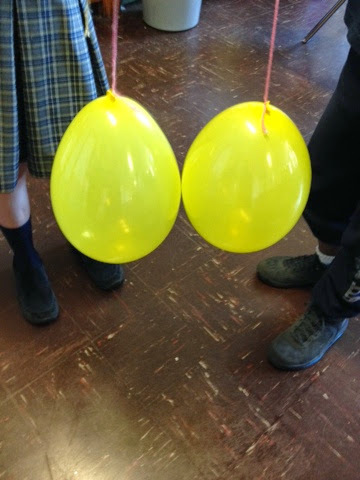 The last two stations were on static electricity. 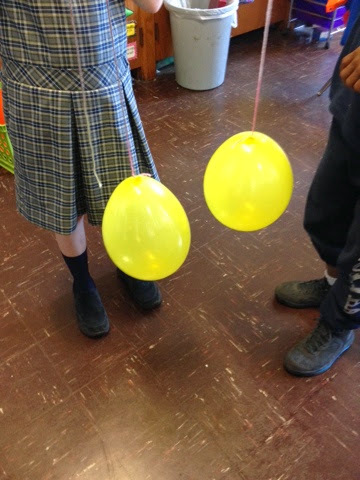 The students at this station took a piece of felt and rubbed it along the balloons. Then they put the balloons near each other and watched what happened. I didn't take pictures of the last station...silly me! The students took balloons and tested out static electricity on their hair, paper, and the wall. They really had a blast with all of it. 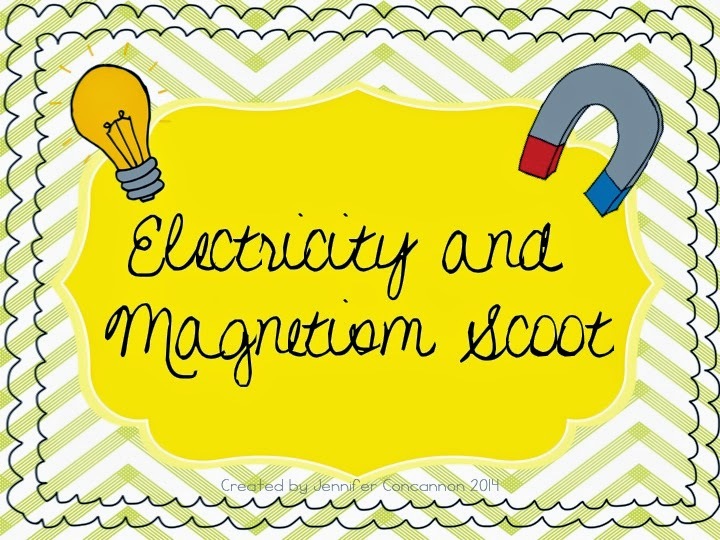 Today we did an electricity and magnetism scoot. They were so cutthroat! They wanted to be the first ones done with all the problems correct. These products are available in my store if you want to try them out. If you do let me know if your students had as much fun as mine did!